This South African, organic, all vegan, probiotic focused brand caught my eye back at the beginning of the year and boy am I glad they did. It took me quite awhile to get around to researching the extensive range (it's a big 'un!) to see what was for me. I read all of the product descriptions three times over and plenty of reviews to get a good feel for the brand and what to expect. It just sounded so good! 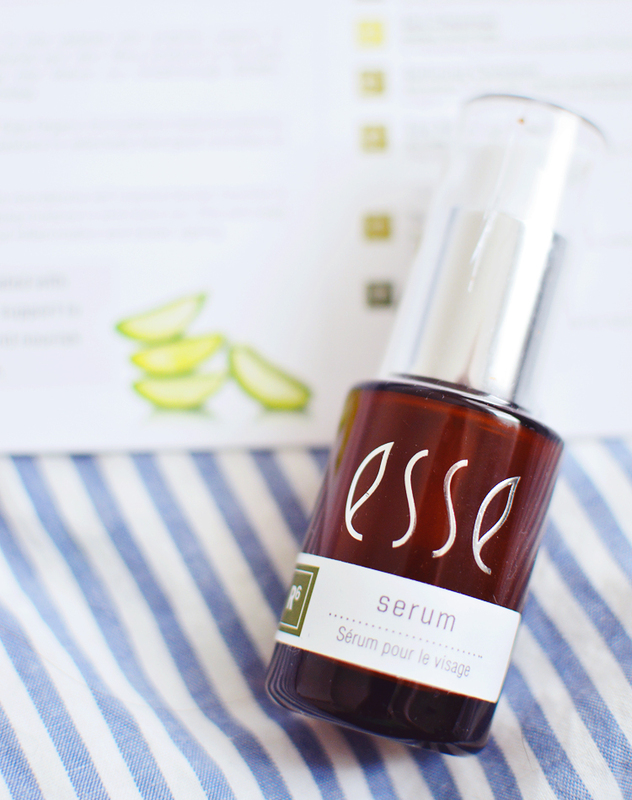 They have a core range split over different skin types, a range of body products, a special line for sensitive skin and a higher end super high-tech line of targeted anti-ageing products called 'esse plus'. So there really is something for everyone here. After much deliberating, I decided to try the serum from the core range. My skin was feeling a little dry and my current skincare wasn't working to banish any flaky patches as effectively as usual so this seemed perfect. The serum contains a high dose of hyaluronic acid and a nice blend of soothing, hydrating ingredients such as rose, aloe and rooibos. There's also inulin as a prebiotic for skin microbes, kigelia to lighten and much more, too. This serum promises to deliver intense moisture (without overwhelming the skin with oils), reduce inflammation, brighten, firm and clean up any damage from pollution and everyday skin stress. It really is a little wonder and I fell in love with it very quickly. The serum is a gel formula that is best used in the evening and applied to damp skin before following up with the rest of your routine. You can really tell it's packed full of active ingredients as the gel is dark brown in colour and only a small amount is needed. It's like a drink of water for your face! My only negative is the size! This serum is just 15ml for £37 and I've used it up in around 3 months. I suppose this is a good thing to keep the ingredients fresh and potent, and just looking at the clean ingredients list below, everything has a purpose for bettering the skin. I will compare it to something like Glossier and their hydrating serum Bounce, which is also 15ml for just £24, but contains a bunch of filler and rather useless ingredients that I wouldn't want on my face. Water/Aqua/Eau, Biosaccharide Gum-2, Glycerin, Dimethicone, Sodium Hyaluronate, Panthenol, Caprylyl Glycol, Peg-20 Methyl Glucose Sesquistearate, Polysorbate 80, Ethylhexylglycerin, Xanthan Gum, Octyldodecanol, Isohexadecane, Hexylene Glycol, Phenoxyethanol, Ammonium Polyacryloyldimethyl Taurate. For me, esse wins hands down. Luckily for us, the brand stands out with their really great trial packs for the core and sensitive ranges, so I was able to sample some more of their products before committing to a bunch of full sizes. The trial packs aren't too expensive, come in sturdy tins that are perfect to re-use and contain everything you need to get a feel for the products you're interested in. There are 4 trial packs available; oily/combination skin, normal skin and dry skin variations which contain 6 mini products for £31, and the sensitive set which contains 3 products for £23. As you can tell I went with the sensitive kit, because even though pregnancy has been quite kind to my skin, I have tried to be as gentle as possible with any new products I'm using to avoid any reactions. 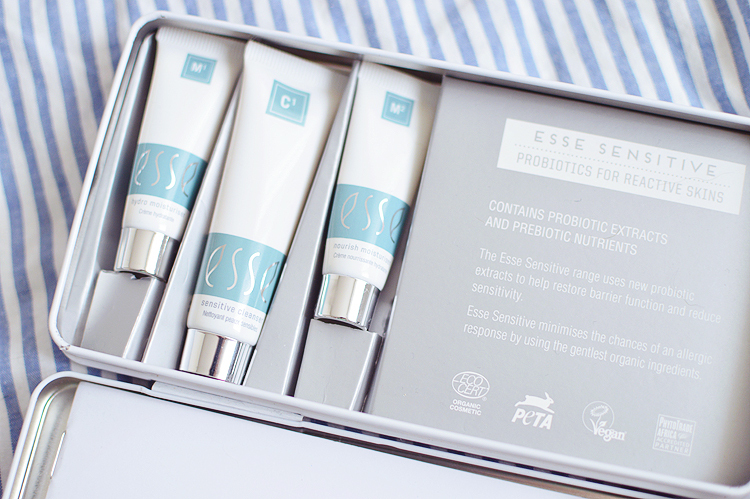 The sensitive kit contains the cleanser and both light (hydro) and rich (nourish) moisturisers from the sensitive range. The only product missing is the sensitive serum, but as this is quite an expensive product and the full size is only 15ml I can see why they chose to leave this out - though, even a tiny sachet would have been nice to include just to fully test the whole set of products, especially as I'm really interested in the sensitive serum and it's benefits for reducing redness and repairing barrier function. I really enjoyed using the cleanser and two moisturisers, and have been considering a purchase of the full size lighter moisturiser as it really seems to calm my skin and works well in both the morning and evening. I really like that it contains both pre and probiotics and I've been so interested to learn more about how these can help our skin. The cleanser is a nice and creamy gel sort of texture, it's exceptionally gentle and removes light makeup - one for those of you who have very reactive skin types as it's just so gentle. I also really liked the nourish moisturiser as it paired well with the serum to help dehydration, but I don't think it's something I would want to use long term as my skin usually doesn't agree with shea butter and this contains it. 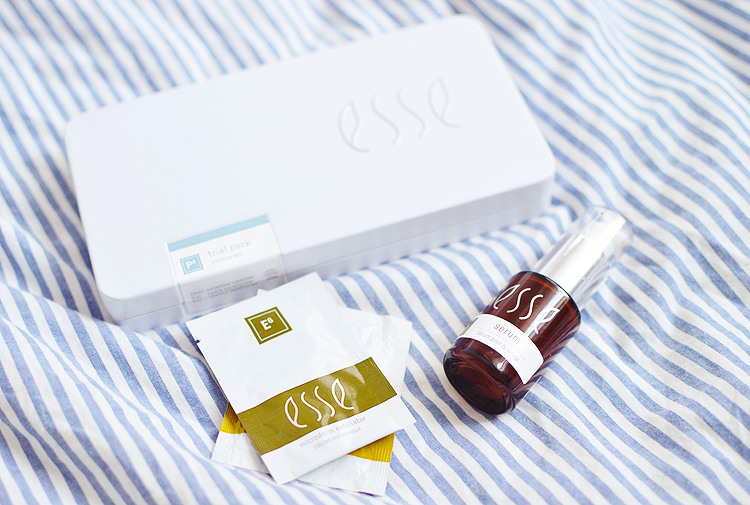 And that's our brief introduction to Esse! This is definitely a brand I want to explore more of. The sensitive serum is on my list, and they have a gorgeous sounding mist/toner with probiotics! I do love a good misty toner. If you're interested in dipping your toes into this brand I would definitely suggest a trial kit, or picking up some sachet samples from the Love Lula sample section, they have some of the cleansers and moisturisers for 50p each!